330 years ago today, Johann Sebastian Bach was born in Eisenach, Germany. During his own lifetime, he was renowned as a organist, teacher, and… well, that was about it. It wasn’t until about 50 years after his death that his popularity and influence as a composer to begin to slowly grow. But can you play Bach’s music on the accordion? Absolutely! For example, there’s a nice, intermediate-level arrangement of “Jesu, Joy of Man’s Desiring” in Gary Meisner’s Light Classical Pieces For Accordion . You’ll find an arrangement of the famous “Toccata in D Minor” in Book Eight of the Palmer-Hughes accordion method. Palmer-Hughes also published an entire standalone book of accordion arrangements of Bach’s music. (That’s my own copy opened up in the background of this website’s banner image!) Busso Music still sells reprints of the book, divided into three volumes, but used originals sometimes crop up on eBay now and then. Ah, but should you play Bach on the accordion? 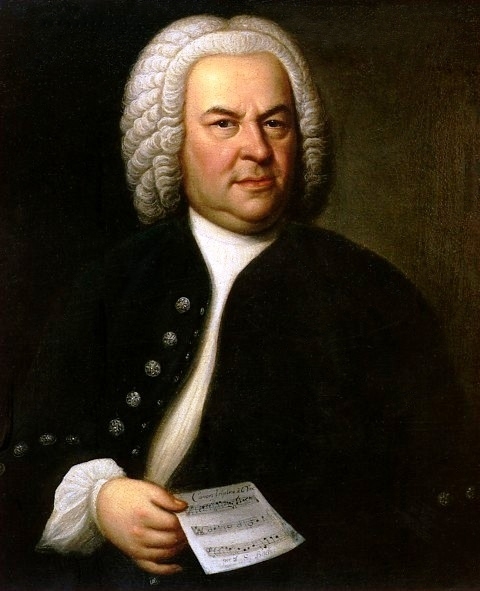 J. S. Bach wrote as much music for the accordion as he did for the piano! Neither instrument was in use in Bach’s era. Bach was not as particular about which instruments played his music as a few modern Bach enthusiasts are. He placed his stamp of approval firmly and indelibly on the art of transcription. He transcribed the Orchestral Concerti of Vivaldi for organ and harpsichord solos. He rewrote his own compositions for all conceivable instruments and combinations of instruments in existence in his day. He simplified them so his children could play them. He transcribed his own vocal works for organ, his organ works for string quartets, and even made a flute solo out of one of them. I cannot believe that the Old Master himself would have objected to accordion arrangements of some of his works. So there you have it! Feel free to celebrate one of this planet’s greatest composers by listening to some of his music played on accordion, or better yet, by playing some of it yourself! This entry was posted in Accordion, News by Jeff Jetton. Bookmark the permalink.